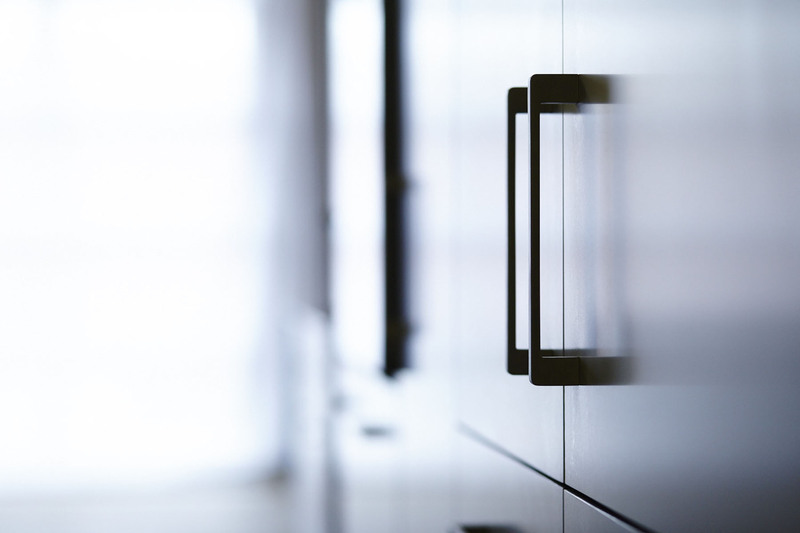 The design and placement of our pulls is integrated into the overall system. 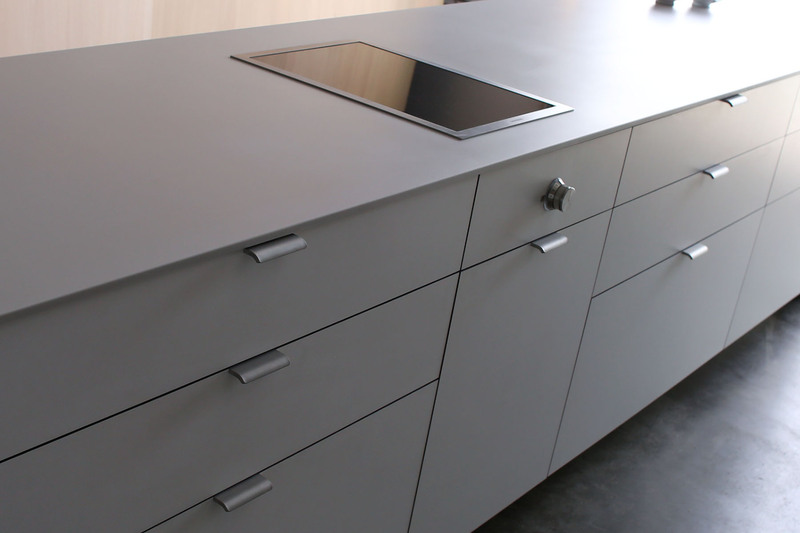 We design and manufacture them from solid brass, stainless, and leather. 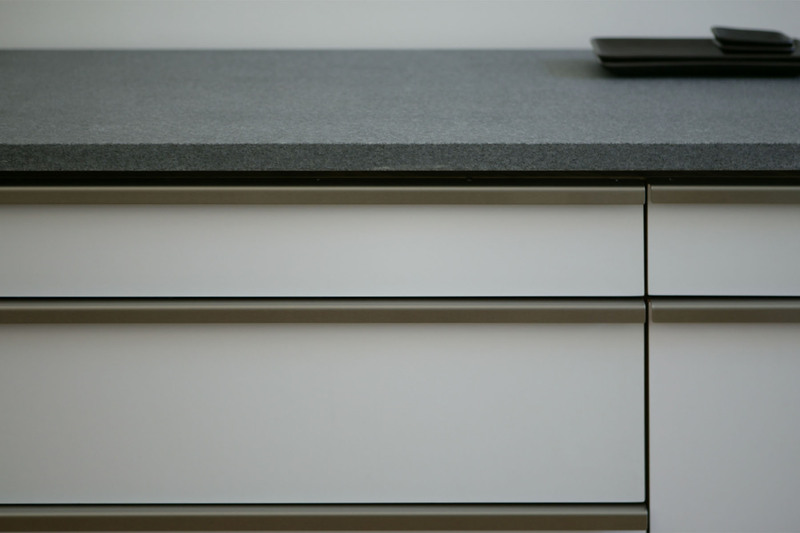 Many of our pulls are mortised into the face of a drawer or door, so that they flow seamlessly with the reveals created by panels. 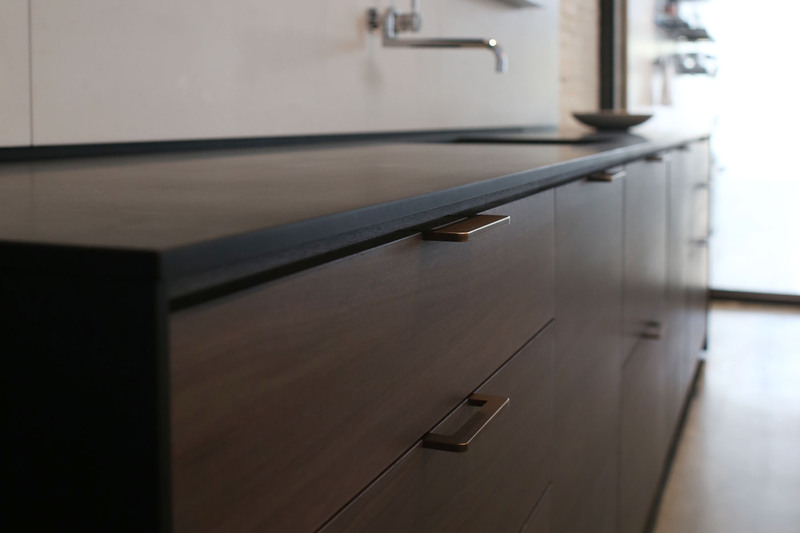 Full length pulls can create a continuous line when elevations are designed with them in mind. Henrybuilt pulls are designed to work in combination with each other and accomplish specific aesthetic and functional goals. 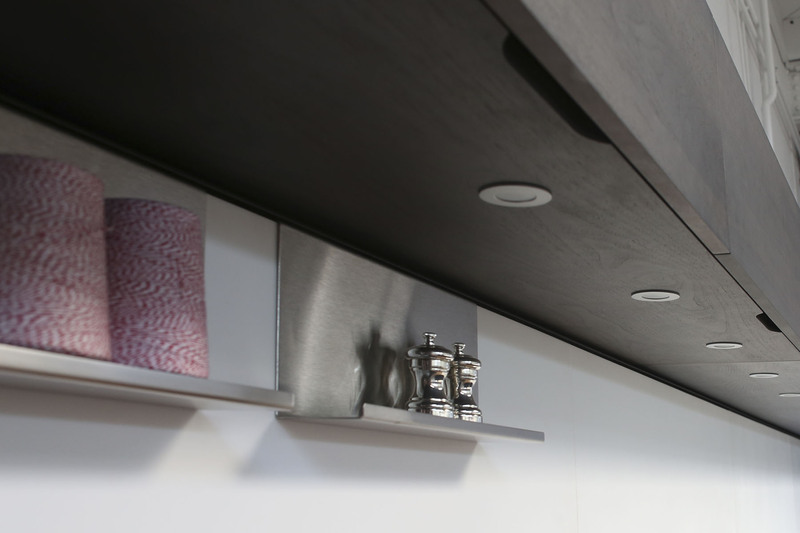 The vertical pulls here provide good leverage for the refrigerator doors and protect fingers from getting pinched. 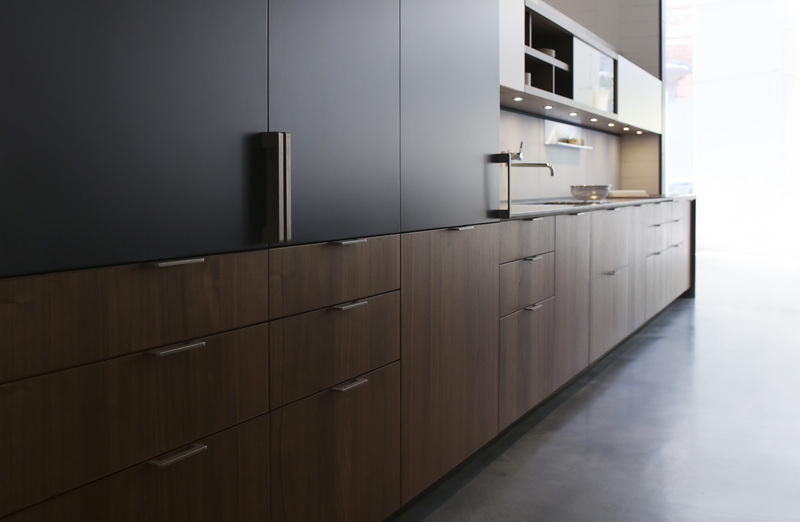 Radiuses and dimensions are carefully designed to integrate with the recurring details of the overall system. Quarter-inch thick solid stainless steel bent in a 50 ton press. Mortised into the front. No plating to wear off. 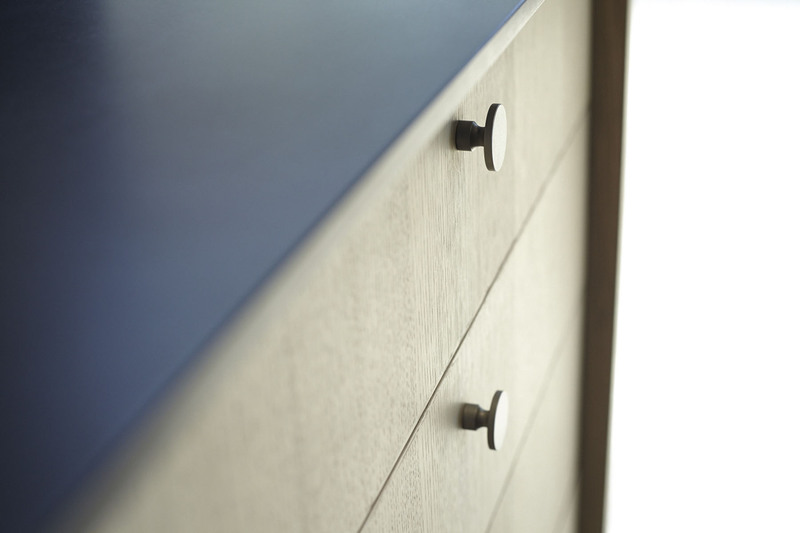 Henrybuilt's knobs take a traditional form and reduce it to a modern shape. Used to create a traditional feel and work well in special areas. 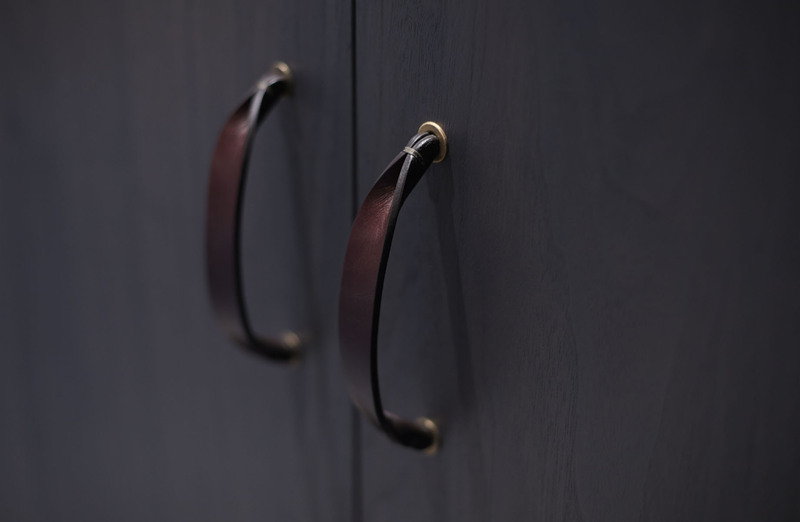 In a situation where kitchen blends into living space, leather pulls can be used on the back of an island's storage or a serving sidecase to create a luxurious, softer feel without losing function. 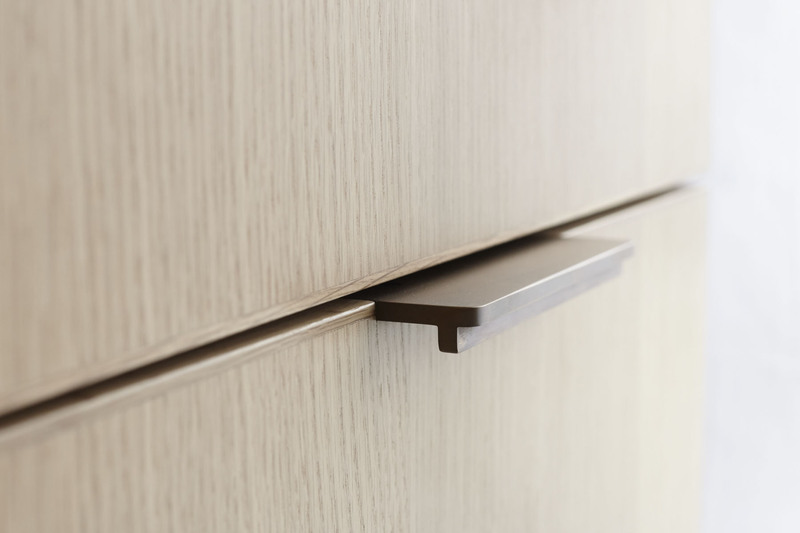 Wall units can either be fitted with pulls, or made operable without pulls (or fault-prone touchlatches) using the standard finger slot design shown here.